Like eating their vegetables, teaching kids to enjoy tech at an early age could be key to their future. 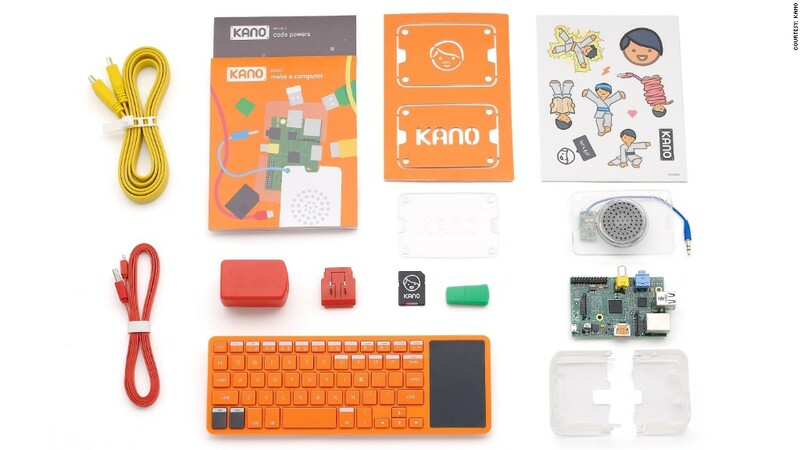 For $150, parents can buy their kids a Kano computer kit, a present that just might jumpstart techie careers. Kano is a DIY set that lets kids (or adults) build a computer and learn basic coding skills to program it. Last year, Kano raised $1.5 million on Kickstarter -- far surpassing its $100,000 campaign goal, which it hit in just 16 hours. And it attracted the attention of high-profile backers like Apple's (AAPL) Steve Wozniak. 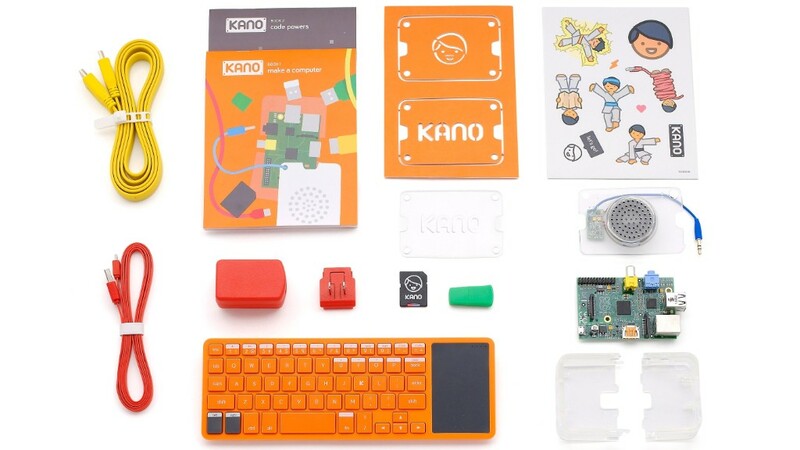 Now available for the general public, Kano has shipped 20,000 kits around the world. "The intention was to make coding and computer science -- often presented in a dry way -- feel like an expressive art form," said co-founder Alex Klein, 24, who launched the London-based startup with his cousin Saul Klein, 44, and Israeli entrepreneur Yonatan Raz-Fridman, 31. The Kano founders wants to demystify the magic that happens inside computers. So, how exactly does one do this? First, the colorful Kano kit (which is manufactured in China) must be assembled. It contains twelve components, including: Raspberry Pi board (the brains of the computer, it's about as powerful as an iPhone 4), build-your-own speaker, wireless orange keyboard, transparent case, WiFi connector and two illustration books (kid-friendly manuals that read like stories -- they come in seven languages). But you'll need your own monitor, as it's not included. Then, the computer can be connected to the Internet and users can start learning basic coding (there are six Kano Levels on the computer; more are available for download). With code, users can build games like Pong and Snake, build servers or worlds in Minecraft, or remake projects shared on Kano World. Alex said they first tested the Kano prototype in a classroom of 20 eight- and nine year-olds in North London. "I was terrified. I had no idea what was going to happen," he said. Within an hour, all the kids had built the prototype. One summed up Kano's potential in one sentence: "Adults think we're incapable, but today, we made a computer and we powered it up and that makes us super-children." According to Alex, girls are among the most active Kano users. But that doesn't mean they'll be slapping pink on the boxes. "What we're trying to do with Kano -- creativity, play and storytelling -- is pretty gender neutral," he said. It's also age-agnostic. Their customers include 16-year-old girls in Kosovo and a 26-year-old space engineer in Japan. Youth electronics is the biggest growth area in the toy industry. It rose 32% in 2013 for a total of $565 million in sales. According to the Adrienne Appell, trend specialist at the Toy Industry Association, STEAM toys (Science, Technology, Engineering, Arts and Math) are particularly hot this holiday season. If ordered by December 12, the Kano founders say shipments will be received in time for Christmas.